How many bodies does it take to stuff a Beetle? This morning when I was leaving the supermarket, I chanced upon this “vintage” Volkswagen in the parking lot. Just as I was going to snap a photo of it, the owner came out. I hurriedly pressed the shutter before she drove away. When I got to the bus stop five minutes later, I was still grinning from ear to ear. Oh nana, how right you were because that’s exactly what I was doing. Gazing at that old Volkswagen brought back memories of a time when I was young, foolish, and a lot more fun than I am now. I remember it was after school on a Friday, and it was sweltering hot. However, the heat didn’t prevent thirteen crazy adolescents from cramming into Vinnie’s old, white Beetle. And by perfectly, I mean half bodies hanging out of windows, two people stuffed in the trunk, and legs twisted so badly, you’d think they were broken. I miss those days; days when caution was thrown to the wind; days when consequences were the last thing on our minds; days when everything was possible. The day we crawled into the Beetle was not an exception. It was the rule. Because those are the foolhardy things you do when you’re young; those are the things you’re able turn into a story for your grown children and grandchildren when you’re older. Those are the things that make you sigh and believe you’re invincible; king of the world. I don’t remember if in the beginning, Vinnie was in agreement that thirteen bodies pile into his precious classic. However, I do remember that halfway through the process, he stood in front of the car shouting out instructions; instructing this person or that person to go next. How I wish I’d been as camera crazy then as I am now, for it would have been wonderful to capture such a moment. Thirteen people behaving like idiots, risking bodily harm, and disobeying society’s rules of proper behavior. Did we measure the consequences of our actions? Absolutely not. Did we laugh ourselves silly, prove the human body is able to flex and stretch beyond normal limits, and make a memory that will last us a lifetime? Absolutely! Vinnie, you handsome devil, wherever you are, thank you and your Beetle for making this possible! What funny memory do you have of your youth? Previous Who’s afraid of getting older? Next What are the four words a married woman doesn’t want to hear? Back in the day we LIVED, had fun, and yes, occasionally someone got hurt, but nothing like today, and this with all our new values and laws, and spending thousands of dollars on insurance, and joy be gone! Needless to say I can’t begin to list the things we did, wild stuff; but the one story I did write about was of me and my siblings, and my boyfriend taking my parents car for a joyride. My brother was driving. He was about 11 and the vehicle was a large Plymouth Fury. And oh, we lived in Phila, Pa., alas large city/very slim streets! And yes, we were stopped, but this was in the good old days, hardly CNN stuff back then. Loved the visual of your story. Pictured it right away. Wished I was with ya’ll. And darn it, I wished you had that camera too! RYCJ, hello and welcome! Ah, the joyrides! How fun were those! hee hee! My sister once turned on my uncle’s car, set it on reverse and set the car in motion down a hill. She was six at the time! :) So glad you liked the post! I miss those days. I love those days. Carefree. Liberating. Bra burning. No worry. Youth. Love thinking about 13 people crammed in a VW. I remember in college there were a bunch of us driving back from some wild event. I was sitting in the back seat with 4 others (before seat belts were the law) and one of the crazy guys rolled down his window and climbed out and onto the roof. We were going at least 70 miles and hour on the freeway and he was hood surfing. Crazy and totally stupid!!! I was screaming at him to get back inside but I think it was probably better that he stayed hugged to the roof until we pulled over. Love your post, Bella. Sadly, even if we were more flexible, it would take far fewer of us to fill up a Bug. I’m nearly twice the woman I was, back in the day – in more ways than one, alas. I had one party where this guy (who knows who he was, friend of a friend kind of thing) passed out right behind my front door, and I couldn’t wake him up. It was raining, and the rain leaked inside, so the carpet was wet. The guy wakes up some 3-4 hours into the party, soaking wet. and bruised all over because every time the door opened, it banged into him somewhere. He must still think he got into a fight and got his a$$ kicked. And there were any number of parties I went to where people just crashed for the night on the couch, floor, chairs, whatever was available. Beverly, ouch! Poor guy! My nana would tell him, “Serves you right for acting silly!” :) Crashing is still the norm apparently. Or so the Son informs me! Oh Bella , you got me all mushy inside thinking of all good old times. I love your writing, it’s so easy and free – flowing it makes it so much more pleasurable to read. Thanks. I SO remember the “How many people can you get into a bug” thing, it was fun. I remember a boy who I was crazy about climbing a lamp post to the top while we all stood at the bottom laughing. What wasn’t funny was when a Policeman came along and told the boy to come down and he had to come down like a reprooved monkey! Elizabeth, poor guy! Why is it that half the things we do when you’re young and crazy land us in trouble with the authorities? :) I hope he didn’t get in too much trouble! Love the monkey visual! When I was in grade 12 my best friend had a green Beetle. More than once we came out at lunch or after school and the boys had found a way to move the car to a new location. I have the best memories of “Froggie” and have desperately want one ever since. Tina, I love the name, “Froggie”! I can imagine what fun it must’ve been for the boys to see your faces every time you realized the car had gone missing! I love it! :) And I’m with you in wanting a Beetle! There’s an old one in my neighborhood that’s in mint condition and every time I pass it, I can’t but sigh! My dream car was convertible beetle, but I never managed to own one. Seeing the photo brought back such sweet memories. Enjoyed reading. Unfortunately I am so “vintage” that I can’t remember the silly things that I did way back then. Hmmmm….if only there were such things as online journals in those days. To be able to look back on what you did 3 decades ago…ha! Honestly Bella I do not have any reminders of my past, but then I’ve moved so many times that old letters and whatnot simply got lost along the way. Oh, and I should add that the lack of memory is most likely due to the ridiculous amounts of alcohol consumed during my pre-Italy life. No one ever told me that tequila bombs (I love how they call it tequila boom boom over here) would eventually kill brain cells. Oh my aching head. Rowena, in my book, anything involving the name “tequila bombs” or “tequila boom boom” deserves a blog post! OMG, boom boom goes my head if I ever down one of those! :) It’s a shame you have no recollection of those good times, friend. Imagine the stories you could tell! hee hee! 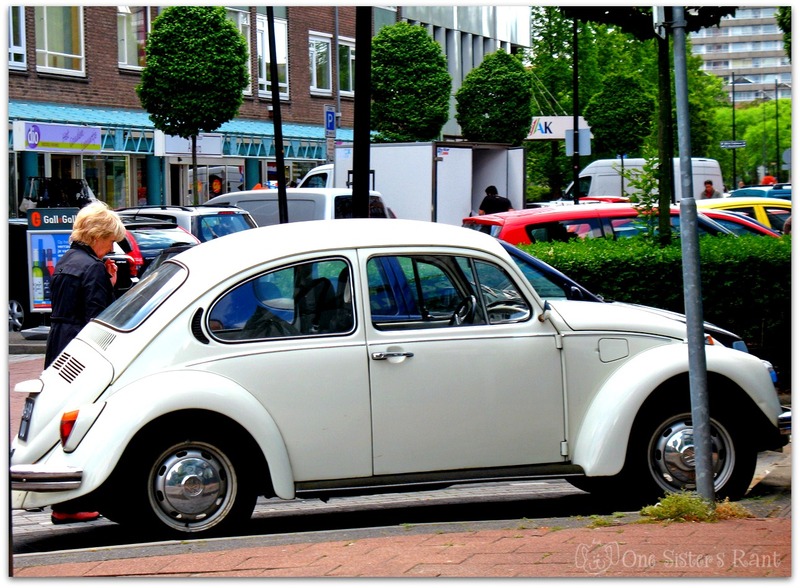 Thirteen people in a VV Beetle…? That’s just awesome beyond words… Actually it kind of reminds me of how my band crams all the equipment into the band leader’s smart car. Seriously… the car looks like it can fit in my purse. People actually come out of their houses to watch us cram everything in (including an entire drum kit, bass amp, PA system, etc). Then taking everything out looks like unloading a clown car. To cram in people, though? That’s tough. 13? Oh my goodness, I wished someone had taken a picture of THAT! Haha, that’s hilarious! Sabrina, where’s a camera when you need one, eh? Of course at that time cell phones with built in cameras didn’t exist! What a shame! So happy you liked the post! oh, yes, I can remember that fresh and mad sensation when I was a teenager and I was able to hitch hick to go to a party or to get in a rock concert without paying, and I was never afraid!!. Growing up in Puerto Rico in the mid to late 70’s we were all able to get into clubs, parties and bars without ever been “ID”. I was the designated driver most of the time because I don’t like to ever get drunk (all I do is throw up, so why bother) so my mami would asked me Saturday mornings “ok Ofelia what car did you drove in last night? I drove corvettes, camaros, small mazdas and a few hondas with just my permit. Ahh, the days of living dangerously and not using all of our brain cells!!!! You know, in college, we used to cram as many people as possible into my car to get from one party to the next. It wasn’t a beetle, however. It was a Sunbird. A “vintage” Sunbird. At one point, we had an MSU basketball player, his girlfriend, five of my best friends, and a couple of the dudes living in the dorm next to us all crammed in that car. Illegal? Yes! Dangerous? Definitely. Fun? Absolutely. Great story! I was never stuffed into a Beetle, but that always sounded like a fun thing to do. No, my memories are of me and my bicycle. I’d bike all over the island I lived on. Sometimes, even taking bike trails along the freeway to the beach. Other times my friends and I would bike through neighborhoods where we’d find mansions that had been abandoned and in various stages of decay. We’d go inside and explore. I remember walking in a hallway on the second floor, where some of the floor boards were missing and you could see through to the first floor. We had to be so careful. Those were my fearless days. I guess I felt safe roaming through Long Island. I loved my VW! Right up until someone pulled out in front of me and wiped it off the face of the earth. I miss it still – loved driving it – it was so much fun! My entire youth was a joy, fun, full of teen and early 20’s angst, laughter, and things I will never ever ever tell!! Heh heh. Oh come on, Nan! Spill! 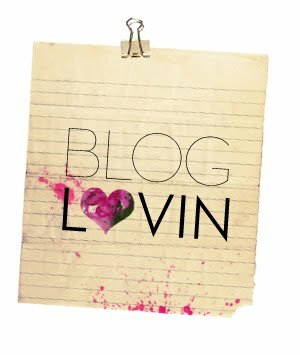 Imagine the juicy blog posts your stories would make! I would be lined up in the front row! :) As for the VW you loved but had an early demise, you can always get another one! These babies are still around and some are totally road ready! Taking my imaginary hat off to you and your friends! My friends and I managed to get that magic number (13) people into a mustang hatchback, but I couldn’t imagine that many people in a beetle!